This is a book I’d been wanting to read for a long time as it kept getting rave reviews, being nominated for prizes etc, indeed it won the Oxford-Weidenfeld Translation Prize this year. Despite the unpromising title, it’s a novel not a text book. The author, Diego Marani, is also a translator himself and a senior linguist at the EU. It was translated by Judith Landry – who gets her name on the cover! – and published in 2011 by Dedalus. 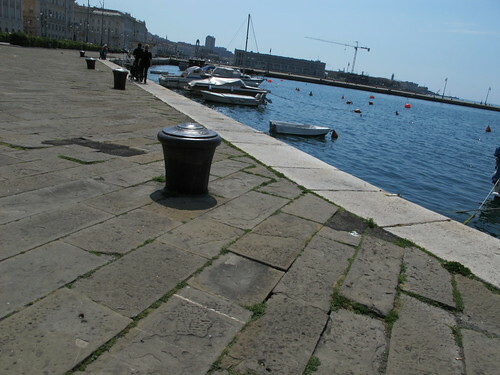 The basic plot is that a seriously wounded sailor is found on the quay in Trieste in 1943. He is suffering from amnesia and has no documents, but the German doctor who examines him identifies him as Finnish because of the name Sampo Karjailainen sewn into the back of his jacket. The doctor in question is of Finnish origins himself and sets about teaching his patient the language from scratch. Sampo later returns to Finland in search of his past, his language and his identity. It has won a lot of praise for musings on the connection between language and identity, sense of loss, sense of place and so on. 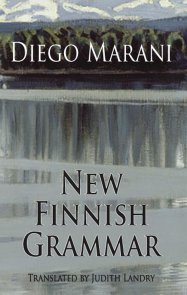 It also mixes in a great deal of detail from the Kalevala, the Finnish National Epic, and information about the structure and grammar of the Finnish language. I was intrigued by this because I once, briefly, toyed with the idea of learning Finnish myself and knew that it is intensely complicated. As I never followed up on the idea, I have no way of knowing whether what I have gleaned from this book is at all accurate – one Amazon reviewer says it’s all tosh. I was also perplexed by the idea of a Lutheran pastor talking about “mass” and “missals”. I wondered whether the Italian author had drawn on his own Roman Catholic background rather than checking the Protestant jargon, but on further investigation it seems the term is used so I withdraw that objection. In the end, I quite liked it but not nearly as much as I’d been led to expect by all the fuss. Meh. This entry was posted in Books, Reviews, Translation and tagged Diego Marani, fiction, Finland, Finnish language, finnish national epic, IFFP, Judith Landry, Kalevala, Language, literature, Oxford-Weidenfeld, translation, translation prize. Bookmark the permalink.